Deodatusof Nevers was a bishop of Nevers from 655. Deodatus lived with Arbogast in the monastery of Ebersheim, established by Childeric II near Sélestat in the forest of Haguenau. Pope Leo X, born Giovanni di Lorenzo de' Medici, was Pope from 9 March 1513 to his death in 1521. Oona is a feminine given name. It is an Anglicisation of the Irish-language name Úna. Apart from Ireland, it is also a popular name in Finland. A variant spelling of Oona is Oonagh. Pope Adeodatus I, also called Deodatus I or Deusdedit, was Pope from 19 October 615 to his death in 618. He was the first priest to be elected pope since John II in 533. The first use of lead seals or bullae on papal documents,, is attributed to him. His feast day is 8 November. Charles is a masculine given name from the French form Charles of a Germanic name Karl. The original Anglo-Saxon was Ċearl or Ċeorl, as the name of King Cearl of Mercia, that disappeared after the Norman conquest of England. Simeon is a given name, from the Hebrew שמעון, usually transliterated as Shimon. In Greek it is written Συμεών, hence the Latinized spelling Symeon. Stardust is a fantasy novel by British writer Neil Gaiman, usually published with illustrations by Charles Vess. 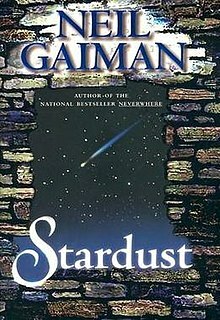 Stardust has a different tone and style from most of Gaiman's prose fiction, being consciously written in the tradition of pre-Tolkien English fantasy, following in the footsteps of authors such as Lord Dunsany and Hope Mirrlees. It is concerned with the adventures of a young man from the village of Wall, which borders the magical land of Faerie. Saint Rita of Cascia was an Italian widow and Augustinian nun venerated as a saint in the Roman Catholic Church. Rita was a child bride, married before the age of 12. The marriage lasted for eighteen years, during which she is remembered for her Christian values as a model wife and mother who made efforts to convert her husband from his abusive behaviour. 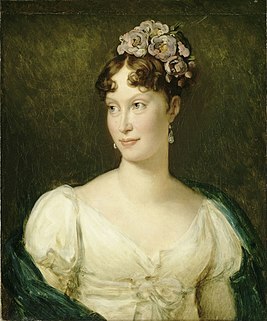 Upon the murder of her husband by another feuding family, she sought to dissuade her sons from revenge. Saint-Dié-des-Vosges, commonly referred to as Saint-Dié, is a commune in the Vosges department in Grand Est in northeastern France. Saint Columba of Sens was a saintly virgin associated with Sens in France and a fountain named d'Azon. Richard Deodatus Poulett-Harris was an educationalist in England and Tasmania. Saint-Dié Cathedral is a Roman Catholic church and monument historique of France, located in the town of Saint-Dié-des-Vosges in Lorraine. Uma is a given name in various cultures. Valerie is almost always a feminine given name in French, derived directly from the French Valérie. Valéry or Valery is a masculine given name in parts of Europe, as well as a common surname in Francophone countries. Another, much rarer, French masculine form can be Valėre. Interpidity was a British-bred, French-trained Thoroughbred racehorse. In a racing career which lasted from April 1993 to November 1994 the filly ran twelve times and won four races. Unraced as a two-year-old, Intrepidity proved to be the outstanding three-year-old filly in Europe in 1993, winning the Prix Saint-Alary and the Prix Vermeille in France and The Oaks in England. She also finished fourth in the Prix de l'Arc de Triomphe, beaten one and a half lengths. At the end of the year she was voted European Champion Three-year-old Filly at the Cartier Racing Awards. Intrepidity was kept in training as a four-year-old, but failed to win, although she finished second in the Prix Ganay and the Prix Foy. She was then retired to stud where her record as a broodmare was disappointing. ↑ Patron Saints Index: Saint Hunna Archived 2007-09-27 at the Wayback Machine .